BossLTR has been in the Rental Industry for over 12 years offering a wide selection of Specialty Rental Products throughout the United States and Canada. 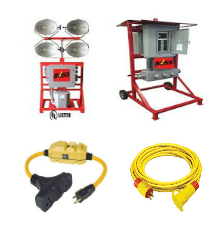 Our rental products include Specialized Light Towers, a large selection of Industrial Portable Lighting and Job Site Electrical Distribution Products. We service a wide range of industries that include renting Stadium Style 60’ 80’ & 100’ Light Towers to Large Construction Projects. We service the Rental Oilfield and Pipeline Construction Industry with specialized Light Tower Trailers with oversized generator sets for on-site power, water reservoirs and personal heaters with onboard fuel storage tanks. 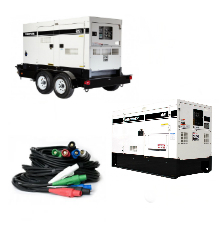 We rent a variety of rental products to the Refinery and Petrochemical turnarounds such as, Rental Stadium Light Towers, Special 40’ Light Towers, Rental Portable Explosion Proof and Rental Low Voltage Lighting Products for the Tank & Vessel Industries along with Rental Temporary Electrical GFCI Distribution Products. We provide the Open Pit Mining Industries withRental Stadium Light Towers and exclusive Truck Mounted Remote Operated Light Tower Packages. We stay on call 24 hours a day to respond to the Offshore and Inland Oil & Gas Industries with Rental Hazardous Designed Light Towers, both Diesel and Electric Powered plus Rental Portable NEMA 4 Division 2 Floodlights. 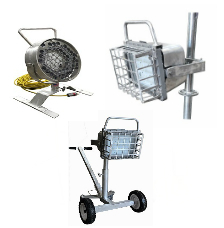 For the Ship Building–Dry Dock Industries we rent NEMA 4x Water Proof Hand Lamp Products along with Rental GFCI Distribution Equipment. 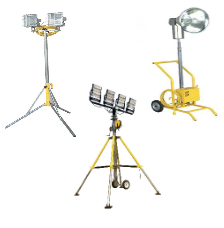 BossLTR rents 60′ and 80′ Portable Stadium Light Towers for all types of Sporting Events, such as, Youth League Play, High School, College and Professional. We rent 40′ Towers with six lights to be used for Youth and High School game time play, as well as, College / Professional Practice field lighting. 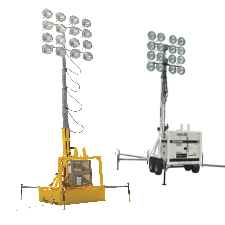 Our Rental 60′ and 80′ Stadium Sixteen Light Towers are available for larger High School and College field lighting requirements. BossLTR can turnkey temporary lighting installations for Football, Soccer and Baseball lighting projects anywhere in the United States, we always have technical teams ready to travel. Our larger 60′ and 80′ Rental Stadium Light Towers can also be used to supply Outdoor Special Event Lighting for parking, directing traffic flow and security lighting needed for all types of Outdoor Events. One 60′ Rental Stadium Light Tower will illuminate over 60 acres, allowing it to take the place of 10 standard 30′ four Light Towers.